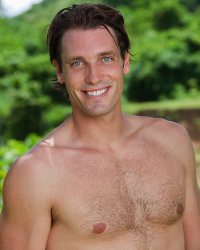 Reason for Being on Survivor: The challenge! My life has been defined by putting myself in new and challenging situations and succeeding. Survivor would be such an appropriate culmination as to what my life has been up to this point and I don’t think I could ever replicate anything as great as Survivor on my own.